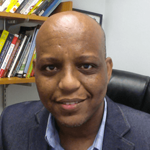 This week, the spotlight is on Dr. Daniel Ogbaharya, faculty member teaching Public Policy and Social Change in the UI&U Doctoral Program in Interdisciplinary Studies. Dr. Ogbaharya is originally from Eritrea, Africa. He is proudly an Eritrean-American having lived in the United States for the past 16 years. In the Q&A below, he discusses his passion for teaching and public policy, and his view on Black History Month in America. A. What I find most attractive about the teaching-learning process is its transformative and emancipative powers. Great teachers are those that transformed our lives by inspiring us about a particular topic, field of study, or region of the world. I became interested in studying developing societies for my masters after I took just one course in this area as an undergraduate with a wonderful American professor – Professor Ahmed El-Afandi – who came to Eritrea from the great state of Minnesota to teach in the then newly opened department of political science at the University of Asmara. My own life experience is a testament to the power and empowering nature of education. I am the first to go to college in my family, which I was able to do partly because college education along with room and board is free in Eritrea. My parents did not have the opportunity to go to school beyond the third or fourth grade, a harbinger of Italian colonial legacy that restricted schooling for natives to that level. So teaching is really rewarding for me because it gives me a chance to give back by working with people of similar backgrounds. It is especially satisfying for me to teach at Union because this is an institution founded on the core principle of expanding access to higher education for non-traditional and underrepresented groups. Union has been pushing the envelope in terms of providing quality education at the doctoral level while maintaining a commitment to social transformation.  As Union faculty, we have the unique and enviable opportunity to work with a diverse group of professionals, community leaders, and change agents. The unifying theme of social justice animates both the faculty and the students who flock to Union. As a result, we have a learning environment where passion and scholarship are interwoven to create a tightknit community of hope, change, and transformation. Q. You teach in the Public Policy & Social Change major, what is it you hope students take away from the major? A. What I hope students get out of this truly interdisciplinary major is that public policy is inherently about the common/greater good. This might appear heterodox to those who see public policy primarily as “positivist science” or as a technocratic field, which it has certainly become in some quarters in recent decades. But PPSC is first and foremost about what we as human beings, as community of nations, and as inhabitants of a precarious planet decide collectively to do with our lives, economies, and resources. At the root of public policy is therefore a great moral and ideological struggle. Ideas as they relate to a sense of fairness, justice, and representation, and how we communicate them matter and matter quite a lot in this struggle. If we are not happy with how our societies function today, provided we have the right set of ideas and innovative strategies to communicate them to the public, we can change our economies, communities, and livelihoods for the better. Q. You are originally from Eritrea, what is one difference between living in East Africa and living in the United States that you would like to share. When I left Eritrea in August 2001, the internet was just coming online—Eritrea was one of the last countries to go online, to connect to the World Wide Web. In fact, my first real exposure to the internet or even to computers was in the summer of 2001. You are asking me to talk about life in East Africa in general as compared to the U.S., which is a risky thing to do given that this is a vast area comprising of at least eight independent countries, hundreds of ethnicities and languages, and cultures. So difficult to generalize and compare. But to start off from the obvious ones, let’s just say that you will never have to check the weather in East Africa. This is not to deny the fact that extreme weather events due to climate change are also now becoming a fact of life there too, with disastrous consequences to subsistent peasants and communities. But still the weather is much better and stable in tropical landscapes of East Africa than in the temperate jungle of the Midwest where I live now. “That’s why I really like my country, because I need to be off the internet. We spend too much time on it….In Eritrea, I’ll go and check my e-mail and send my training files, but I’ll never chat. When you are in Europe, you are with your phone 24 hours a day. In Eritrea, you can switch off, no WhatsApp, just time with your family and friends. You can read a book or watch TV, or walk somewhere. We are not busy by the internet. I like it.” – Merhawi Kudus. Q. February is Black History Month in America. How do you think the African culture has impacted the successes of black history overall through the decades? A. Africa and Africans in the diaspora have contributed so much to forging the black experience in America, and to making America great. If America is great today, it is largely due to the as of yet uncompensated labor, blood and sweat, skills, and intellect of blacks and Africans. As W.E. Dubious presciently observed a long time ago, we can’t think of an America that is entirely devoid of black culture and therefore African culture. You see it everywhere! What is not black/African about America? From the White House to Jazz/Blues to Civil Rights!? In short, Africans/blacks helped make America great! And will continue to make it even greater! It is really quite remarkable that black people, after being deprived, brutalized, and oppressed for so long, that they have nonetheless contributed to America with so much generosity, magnanimity, forgiveness, and courage. Black folks in this country have suffered so much but they refuse to be treated as victims. They have turned their American nightmare into a beautiful kaleidoscope of hope and belonging. They created a home in a land that appropriated and commodified their bodies but denied their very manhood, womanhood, and childhood. This is the uplifting black experience that school children everywhere in America should have the opportunity to explore in earnest at the core of their curriculum, not just in the confines of Black History Month. UI&U empowers you to become a committed agent for social change. Start today with your Ph.D. in Public Policy & Social Change. Click below!